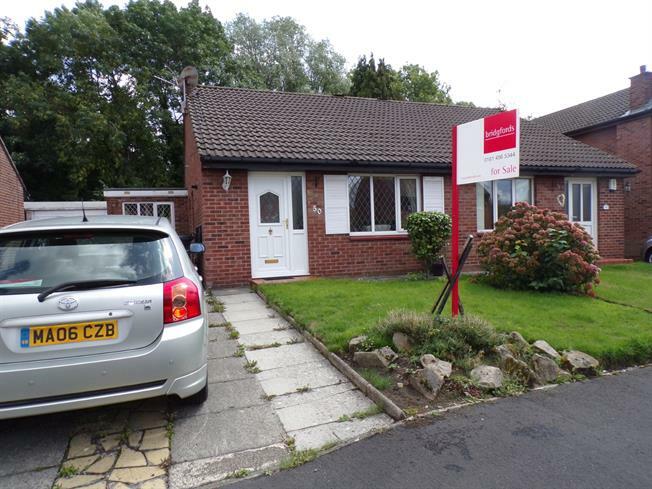 2 Bedroom Semi Detached Bungalow For Sale in Stockport for Offers Over £200,000. A superb opportunity to purchase a two double bedroom semi detached bungalow in a highly sought after location. Semi detached bungalows rarely come to the market in this location especially with no onward chain and we urge people to book a viewing early to avoid any disappointment. The bungalow benefits from having off road parking plus is located in a quiet cul de sac. The easy to maintain garden to the rear is not overlooked and is a superb space to be able to entertain both family and friends. The home has 2 reception rooms is clean tidy and ready to move into. A superb bungalow in a highly desirable location with two double bedrooms off road parking and no onward chain.